On day at The Mountain of Attention Sanctuary Beloved called some of us over to His house for a gathering. And I was fortunate to have been invited. As always whenever you would be invited to the Master’s house for a gathering your heart would race with anticipation and you would be exploding with excitement as to the nature of how the rest of your day would unfold in His Divine Human Company, and of course you were always ecstatic to be going. And whenever you were invited, you could never be fashionably late. Beloved always expected you to just simply drop whatever you were doing and rush over. But if in the course of doing so, you ended up being improperly dressed you would always hear about it. So you could never linger in the self indulgence of putting on a little extra make up, or taking extra time in choosing your wardrobe, because if you were late you would hear about it. He would often Bellow out: “Where’s Mulund, or Where’s Aniello?” And you had better be right outside the door waiting to come in, because if He had to send an attendant for you, you would get a consequence, like chugging a beer at the beginning of the gathering or serving other devotees throughout that day’s gathering. Consequences we all tried to avoid. And so, the bottom line rule of gathering with Him was to simply drop everything, handle all of your worldly business so that He could have your entire attention without distraction, and rush over looking impeccable for the day’s gathering. And more often than not you only had fifteen minutes to a half an hour in which to do all of this. It was a koan we all accepted, and it was always a sadhana, always stressful, and if you were late you’d better have a good excuse. And there were very few excuses He would accept. You had to make sure any children would be cared for of in terms of babysitting requirements while you were at the gathering and handle any important Ashram business that couldn’t be put on hold. That’s basically it. At this particular gathering, I had to handle more business than usual and ended up being one of the last people in the door. Beloved would sit on His chair and face us, while we would sit on the floor facing Him, leaving a walking isle down the middle of the room which led to His Chair. Because I had taken so long to wrap things up, and was one of the last people to arrive, I had to take a seat more or less in the back row on the right. But I scored a seat on the aisle and there was no one sitting to my left, and so I ended up getting an unobstructed view of Beloved. The gathering went on for a couple of hours, after which Beloved called for a break, and so He got up, walked down the center of the aisle and left the room. I didn’t really need to get up at that point and so simply sat there and watched every one else file out of the room behind Him, except for one other devotee to my right who decided to stay in the room as I did. As I sat there I noticed that down the center of the aisle not to far from Beloved’s chair toward the front of the room, there was a tall glass of water sitting so close to the center of the aisle, that I couldn’t help but think to myself, “the next person who comes back in the room is going to knock that glass of water over and it’s going to spill on carpet.” I was absolutely sure that this was the scenario that was going to take place with this glass of water, without a doubt. I knew this would happen. My intuition was so strong, that it was like a cramp in my navel, but I did nothing about it. I continued to sit there, with this knowledge gnawing in the pit of my stomach and at the heart region in my chest. It was so overwhelming it became totally annoying and now had captured my full attention. But instead of acting on it, I debated with myself, as to whether I should remove the glass of water or not. I was now going back and forth in my own mind, justifying my feelings by thinking that it was only a strong feeling and didn’t deserve my attention. All the while sitting with this feeling in the pit of my stomach and at the heart region in my chest, gnawing at me like a mouse gnawing on a piece of cheese and wondering if I should get up and remove the water. At one point I was so sure it was going to happen that I turned to the devotee who was sitting next to me, as we were the only ones in the room at that point and I mentioned the glass of water and how I was sure someone would knock it over. But this person didn’t feel the way I did and so dismissed it and told me not to worry about it, to once again focus my attention on the Master and let it go. But this only fueled my drama further. Now I was truly torn, between simply getting up or sitting still, going back and forth trying to dismiss the feelings I was having. But this glass of water had completely captured my total attention. 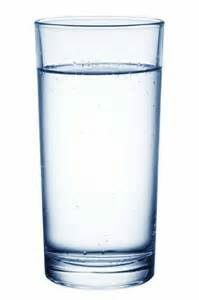 About ten minutes went by, and as I was going through this internal drama with this glass of water it began to seem totally ridiculous to me that this glass of water was the only thing I was thinking about and had been for the last ten minutes. My mind simply went back and forth as to whether I should or shouldn’t remove it from its place on the carpet. And so, after all of the drama I made the decision to just leave it where it was. When I had finally made the decision to do nothing, then a devotee who was sitting near the glass of water headed back to his seat and in doing so accidentally knocked over the glass of water that I had been meditating on for the past ten minutes. It had now spilled on the carpet just as I had been predicting. By then, Beloved, had re-entered the room and was now watching the entire drama unfold in the way of someone mopping up the water. I of course felt bad, as I could have prevented the accident entirely, but I chose to do nothing. It was at that point that Beloved on His way back to His chair stopped right in front of me and stood in the center aisle looking down at me. As I looked into His beautiful face, He bent down and slightly cuffed me on the left cheek with his open hand and said: “I have been telling you to move that glass of water for the last ten minutes. Why haven’t you been listening to Me.” And then He sat back in His chair and the gathering continued. Needless to say I was totally blown away, as was the person sitting on my right who I mentioned the feeling to. By lighting tapping my cheek I realized that He had totally absolved any guilt karma I had created with the water glass and taught me a lesson on how to listen a little deeper. Thank you Beloved for this Gift. 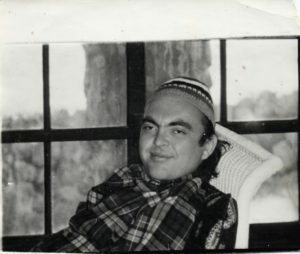 I’ve been a student of my Beloved Guru Adi Da for over 37 years as I am writing this story. 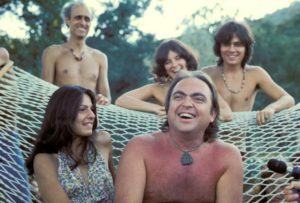 I wish to relate to you the following true story relative to Heart-Master Adi Da’s Divine Love and Compassion, which truly Transcends time and space. 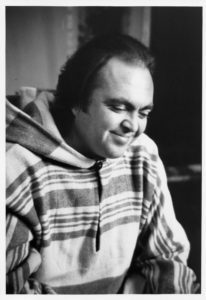 I was at a gathering with Heart-Master Adi Da, where He was giving a discourse to a number of students, speaking to us about our disciplines and daily spiritual practices. I was sitting not too far from my Beloved Guru among about 25 or 30 other students and there was a brief break in the conversation. Someone mentioned to Heart-Master Da that a famous person had died that day and He asked how it happened. To make a long story short the conversation drifted from the intensity to which we should be practicing to how some famous people in the past had died. Surprised by His direct attention, and unmistakable address, I answered “Yes I do.” I thought to myself, perhaps He could feel me getting sleepy again and wanted me to be more alert for the conversation by addressing me personally. Then He simply went on with the conversation and did not address me further the rest of the evening. As I sat there I didn’t think anything more of it, except to notice that my attention was once again restored and I was fully awake till the end of the evening. I felt He was just trying to help me stay awake. A few days later we were in another discourse again with many other students present. This time I was sitting right in front of my Guru, and again the conversation came around to death by way of suffocation. Heart-Master Da mentioned to us that He was almost strangled at birth, by the umbilical cord which was wrapped around His neck. Once again, in the midst of a crowd of students, He then turned to me and asked me directly, looking deep into my eyes, if I knew how to do the Heimlich Maneuver. About a week later a few of us were on the lawn surrounding Heart-Master Da. It was a beautiful but warm day, and someone was showing Him some new plants that had arrived for the garden area. Heart-Master Da mentioned something about the weeds choking out some of the plants in the garden, and again the conversation turned to the subject of death by choking. I was standing next to Him, when He said, “Well there is the Heimlich Maneuver. Do you all know what that is and how to apply it?” Before we could even answer, suddenly my Beloved Guru stands behind me and puts His arms around me and places His fists in a position underneath my rib-cage and demonstrates exactly how to do the Heimlich Maneuver. At first I thought this rather odd, but dismissed it as just a coincidence that I just happened to be one of the people standing next to Him, and I felt honored that I could be the subject of His demonstration. But then I thought no more about the incident. A few days later, two other ladies and I were in the kitchen cooking lunch for the resident children. It was a hot day and we had already placed the silverware, napkins, condiments and ice water on the table. Because we were busy attending to matters in the kitchen none of us were paying much attention to one of the children who came in ahead of the others and sat down to sample some of the items on the lunch table. All of a sudden I heard a strange sound coming from the dining room table. It was some kind of unusual gurgling noise. I turn to see what was happening and to my horror I saw my daughter and she appeared to be in great distress. She was holding her hands to her throat, trying to say something, but no words were coming out. Tears were streaming out of her eyes and there was a look of terror on her face. Instantly I realized that she was choking on something. While everyone else was frozen in fear, within a heart beat, I immediately flew into action. I wheeled her around, placed my hands under her rib cage just as My Beloved Guru had done with me on the lawn a few days earlier and began to engage the Heimlich Maneuver. Within a few strokes of pressure, out popped an ice cube, which literally flew across the room. 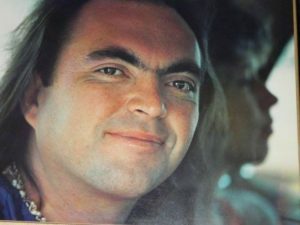 When it was all over I simply sat in awe with my daughter folded in my arms weeping and thanking my Beloved Heart-Master Adi Da for His Incredible Blessing Gift of her life. It was an Extraordinary Lesson, one of Great Love and Great Compassion. And a demonstration of That One who utterly Transcends time and space, and all egoity. I have thought over and over again what might have happened had my lesson not been so personal. Or had He not driven that lesson into my very body that day on the lawn. I should have known that His Divine Attention to me or any one else personally is never a casual matter. It is very unusual for my Guru to physically touch His students. Our life with Him is very formal. 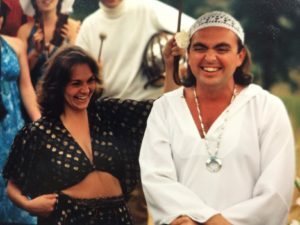 And the events leading up to this Remarkable Blessing have truly opened my eyes to the Power and Mystery of my Beloved Guru, Heart-Master Adi Da Samraj, who constantly shows me His Divine Nature is that of One Who always already Transcends Everything. 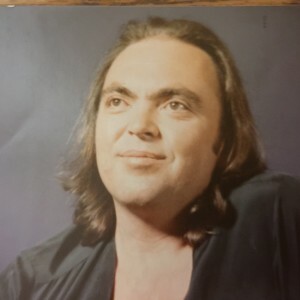 I am so very Grateful for the Bodily Human Form of my Beloved Heart-Master Adi Da Samara and His Divine Intervention in my life and the life of my daughter. 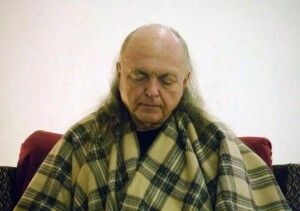 Thank You my Beloved Heart-Master Adi Da Samaraj. On a more practical note, never let small children eat ice. April 20, 2016 / jambo232323 / Enter your password to view comments. Before I came to my Beloved Heart-Master Da, I was what He called a Seeker. In my period of seeking I read many books on the Saints and Sages of India and was familiar with some of the miraculous stories of great healings and other miracles handed down in these Traditions. These stories are always so inspiring, and of course you want to experience them for yourself. But apart from the company of a True Master, they are rarely experienced if at all by any one, or merely experienced by extraordinary spiritual practitioners after many many years of discipline. My story is just such an account of the stuff that Legends are made of. 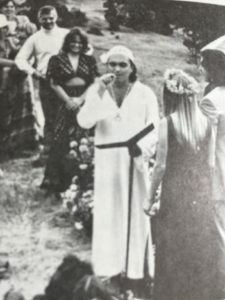 One day during the Garbage and the Goddess period in the history of the Teaching years of Beloved (1974), His Grace intervened and I began to have spiritual experiences that were Extraordinary in nature. Experiences that even exceeded what I had read about in Indian and Buddhist Tradition. On one particular day I was sitting in the living room of Beloved’s House, on a chair facing His closed bedroom door. He was inside. On both sides of the bedroom door there was a table which contained a vase of flowers. There was another lady devotee sitting to my left on the floor next to me, and a couple of other devotees also sitting elsewhere in the room. All of us were facing the bedroom door waiting for our Master to come out. My Longing for Beloved became so intense that I became completely Ecstatic, to the point where I could feel my body being taken over by His Divine Force. I could feel It flow through me, pervading every aspect of my being, and I could feel it flowing out of my hands and face toward Beloved’s bedroom door. I felt connected to Him as the Divine Force flowed out of my heart, face and hands, which were spontaneously raised to the door in the gesture of Beholding. For I was truly Beholding Him at a totally different level of consciousness Heart connected and as one with the Divine Itself. The more I surrendered into this Force of Ecstasy, the more It took me over. My body would spontaneously assume different yogic asanas as a way of opening up the knots to receive and channel of the Divine Energy more fully. It’s hard to describe the Ecstasy I felt at every level of the being and my whole body-mind rested in Oneness with Beloved. And it was unmistakably Him. It was a conscious event happening through His Grace. I was so Blissfully Intoxicated that my level of physical functioning became totally non-existent. I was no longer a physical being but a Blissful Light Body, Communing on all levels with my Guru and with God in the Highest Form. And as such also incapacitated to functioning at the ordinary physical level. I couldn’t even so much as tie my shoe if it were required of me. The body simply didn’t want to function in any ordinary physical way. I was totally incapable of it. I had utterly dropped out of the normal state of consciousness, and my physical body began to take on postures of a yogic nature, corresponding to my consciousness which was now expanded to a Higher level Entirely. I absolutely knew that this Blissful State was utterly my Guru’s Grace. That it was a tiny glimpse of His Divine Condition. I wondered how Beloved could possibly function physically in this world as a Human Being, given His Divine State. 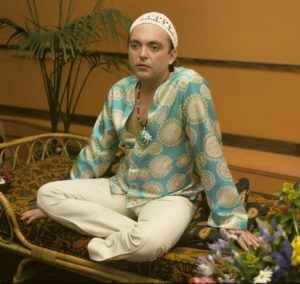 I was experiencing just a hint of His Divine Nature of Ecstasy and I was totally useless. In my Blissful state I wanted nothing to do with the physical world. I only wanted to rest in that place of Stillness and Swoon in Oneness with His Divine Nature. Resting in this Blissful state for just a little while I gained a greater Appreciation and Respect for my Guru’s Extraordinary Super Human Ability and Strength to Incarnate His Human Bodily Form in this gross world. I realized that He was a Total Sacrifice for my sake. I could only imagine the Super-Human Strength and Effort on His part to physically animate the body into doing just the ordinary mundane things of life. In realizing His Extraordinary Sacrifice, it became obvious that devotees absolutely needed to handle every aspect of His Human Life so that He could do His Great Work, which I knew far exceeded the physical gross world. This was a strong message. Beloved would always say that a true devotee, would anticipate the Guru’s needs and wants at every level, without ever having to be asked or told. 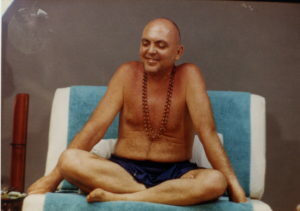 If you just think about that statement, you realize the extraordinary state of the devotee just to accomplish that. As I sat there, facing His bedroom door waiting for Him to come out, several hours of this Bliss State had passed. My Longing and one pointed Desire for Oneness with my Beloved Heart-Master always seemed just out of reach and so each moment of this ecstatic state I was in was also a form of Agony. I was experiencing Total Ecstasy and Total Agony at the same time, and both were equally intense. I was a living Koan. It was like riding on the waves on the ocean. You would peak and subside, in this Tremendous and Overwhelming state of Union and Love until your body would become totally exhausted. At one point, somewhat at rest from the intensity of this spontaneous whole body yogic asana, I opened my eyes just in time to see an extraordinary event take place. As I stared at the bedroom door, suddenly all of the flowers each in their individual vases throughout the room I was in, simultaneously and spontaneously turned to face Beloved’s closed bedroom door. While at the same time I recognized this was a miraculous event, my state was such that it merely seemed ordinary to me. I recognized it as a natural result of the culmination of the internal process that was going on inside of me personally, and how it was coincident with whatever was going on in the room He was in. The turning of the flowers was an outward demonstration of my Communion with Beloved. I knew that this Extraordinary physical event was based on our Union and the Divine Conversation he had been having with me for the past hours. It was a validation of my Union with Him at another level completely. The turning of the flowers was what He was doing with me. It was a culmination of an event coincident with my internal purifying process. As soon as I realized the significance of this event, I was instantly projected back into that place of Agony, where that Union seemed just out of reach and the Longing Totally Overwhelmed me once again. Suddenly one flower in a vase just outside Beloved’s bedroom door on a small table, about twelve feet away from me, magically broke off it’s stem and literally flew across the room and landed directly at my feet. 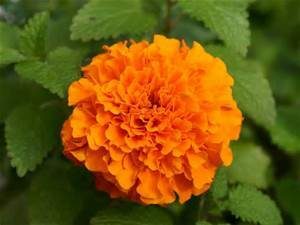 I had Gracefully witnessed His Revelation by giving Him the flower of my devotion and surrender and He responded with Prasad (returning the gift to the Giver) when this flower literally flew across the space of the room and landed at my feet. It was a miraculous Direct Message from my Beloved. He had sent me His Divine Form in the shape of a flower, which I had been utterly Longing for to the point where He physically Manifested this event for my sake. He had Revealed one of His Transcendental Forms, which was a Total acknowledgement of our Union. It was a physical demonstration of our non-separation in terms of time and space, and it totally defied gravity and utterly disregarded the law of physics or logic. He had given it back to me as His Form and Acknowledgement of our Union. The devotee who was sitting on the floor to my left saw the the flower sailing in the air across the room and said to me, “Did you see that?” But I couldn’t answer her. I couldn’t move. I was still projected into that Space with my Guru which prevented me from functioning in that moment at the human level. It was so Profound I couldn’t speak to answer her. I could only Marvel at the Magic of my Beloved Master in utter silence. In February of this year, I told some leelas to a group of devotees. I was speaking on the telephone from my temporary office at The Dawn Horse Press, in Loch Lomond, Ca. 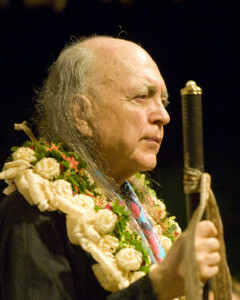 The occasion was hosted by Howard Rontal out of the D.C. Adidam Region. 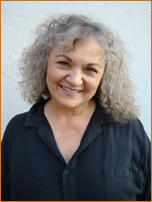 However, on the phone were devotees from an amazingly diverse group of locations–all across U.S. and Canada. It was a little unusual for me, because being on a regular phone call, and not even a Skype video conference, I could not see anyone’s face or reactions to what I was saying. But if you are moved to listen, here it is.